off your shiny teeth to the world. confidence and brightens your entire face. keeping comfort the biggest priority. 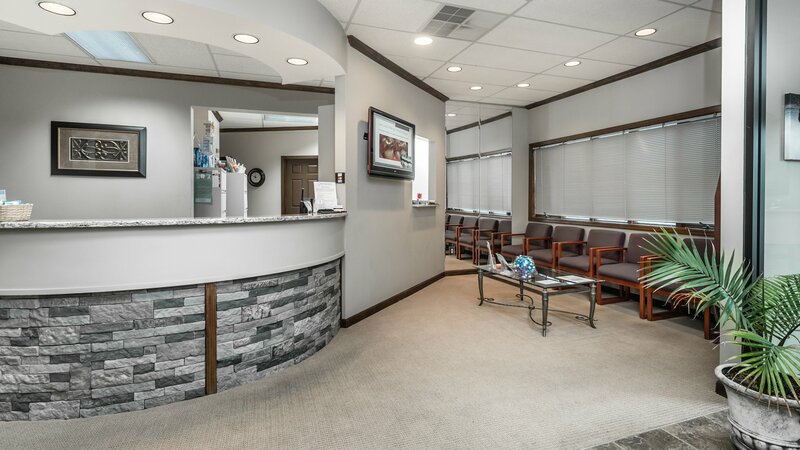 Bogey Hills Dental opened in July, 2012! Our spacious office is conveniently located just off Highway 70 at the Zumbehl road exit. 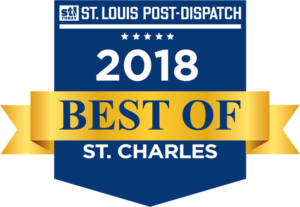 We are very proud to have received the Best of St. Charles award both in 2017 and 2018 and strive to treat every patient with compassion, honestly and provide them the best dental care possible. 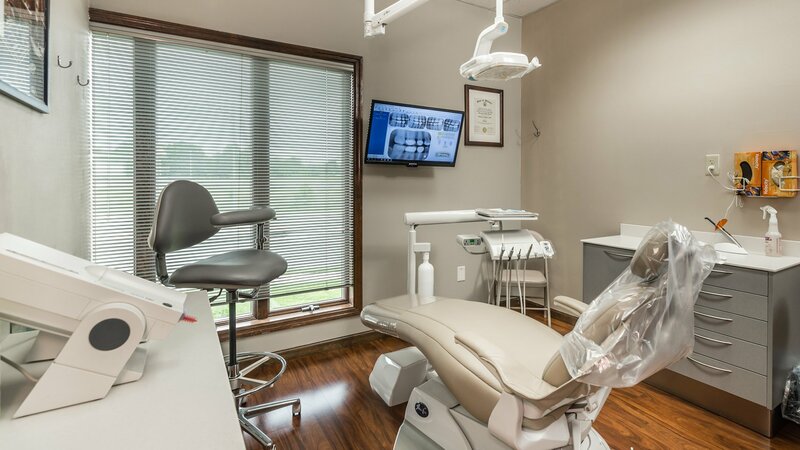 We have three operatories, all outfitted with new computers to facilitate the newest dental technology available. In 2017 we added a 3D cone beam machine to assist Dr. Pollard with implant and Invisalign cases. Digital x-rays are used as well as intra-oral cameras to show our patients exactly what is happening with their teeth. Noise-cancelling headphones are used to drown out the sounds of dentistry, plus we offer minimal sedation dentistry in order to provide our patients with most comfortable dental experience. 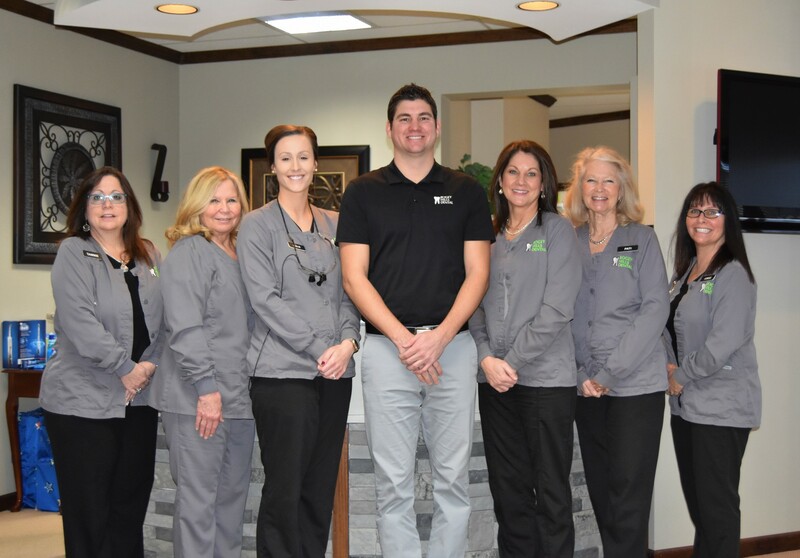 Our staff is dedicated to providing you with the most comfortable dental experience you’ll ever have. We have the newest equipment to provide the highest quality care. 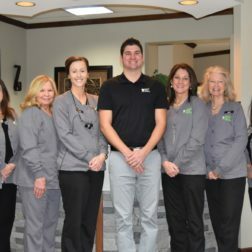 Let us show you what we can do for your smile. Don’t take our word for it, check out our online reviews from patients. New patients are always welcome and emergency patients are seen the same day! Most insurance plans are accepted and will be filed for you, and no-interest financing is available. Care Credit is accepted, and all major credit cards are welcome. 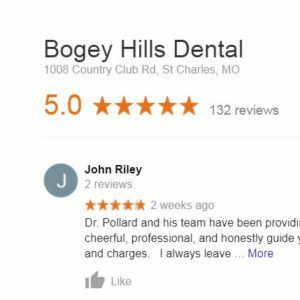 Bogey Hills Dental generally serves areas at and around Saint Charles, Saint Peters, Zumbehl, Mid Rivers, Cave Springs, St. Peters, and Bogey Hills. This includes residents in the following zip codes: 63303, 63376, 63301, 63043, 63146, 63304, 63366, 63369 and many more. 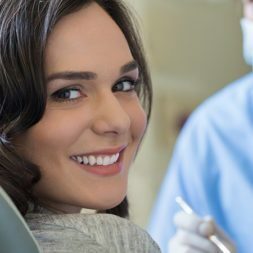 including routine dental exams and cleanings, fillings, extractions, bridges, crowns, and dentures. We utilize the highest standards of infection control and sterilization in our office with the latest methodology and technology. 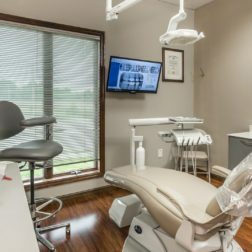 We understand our patients’ apprehension while at the dentist and make it our goal to create a gentle and caring environment. Patients of all ages can expect the very best dental care available. We know your smile is important to you Which is why it is imperative for us to give you a smile to be proud of. Your smile says a lot about you. It reveals your sense of humor, shows affection, radiates confidence and brightens your entire face. Request a consultation to discuss your dental health needs with Dr. Pollard, by giving us a call.